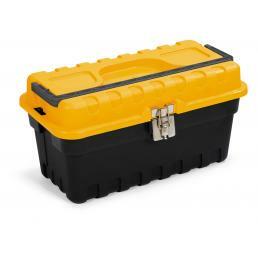 Terry tool boxes made of durable plastic are shock-proof and scratch-resistant, making them perfect partners for those who need to carry their tools with them. 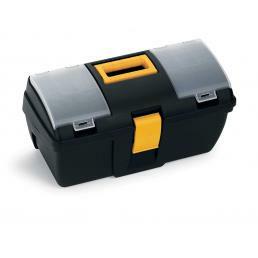 On Mister Worker™ you can find a wide selection of Terry toolboxes of various sizes. 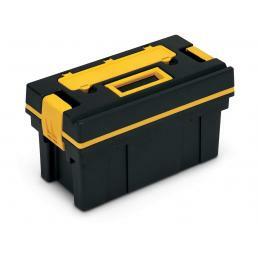 A toolbox Terry is ideal for those looking for practicality, strength and lightness: it is perfect especially for those who work with tools or sharp hardware, which is not likely to be damaged in contact with plastic (something that could happen with a cassette metal tool holder). The snap closure is safe, and allows you to carry it around without having to open suddenly, as well as perfectly protect the contents from dust, water and other substances. 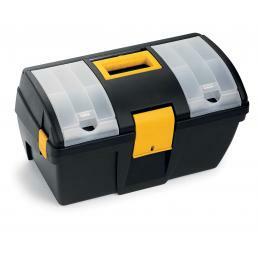 Many models of Terry tool box have an organizer on the lid, to keep the small parts perfectly divided and in order, without the risk of mixing with other tools; others have a groove designed to perform cutting of material. 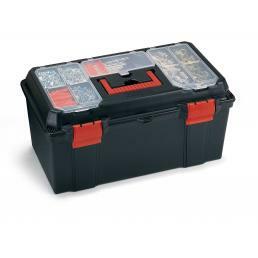 The Club Case Terry T1 version is also available, a practical drill case with integrated hardware holder: ideal for those who need to always carry spare tips and inserts of their kind for their drill or screwdriver. 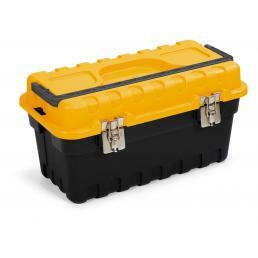 In the Mr. Worker™ catalog you can find the Terry toolbox that best suits your needs: from the small to the maxi, up to the drill cases, all light and resistant to impact and scratches.